Man, time is flying by fast as hell. I named this flyer Jan Speakerboxx because I thought we were still in January. DAMN! 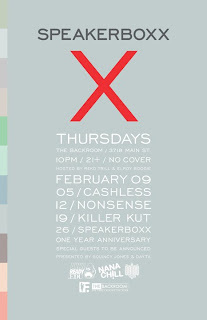 SPEAKERBOXX 1 YEAR ANNIVERSARY THIS MONTH! 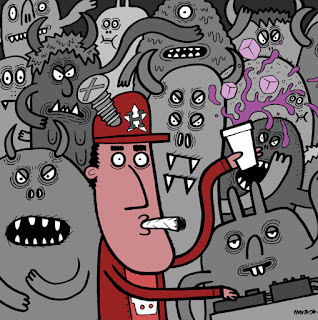 FEB 26TH! MARK YOUR CALENDARIOS!